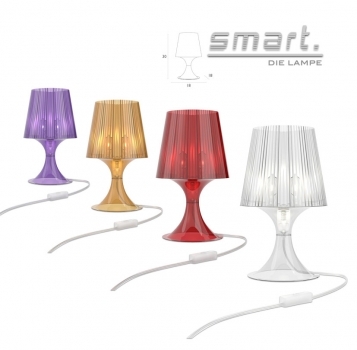 Table and desk light "Smart", made of coloured injected polycarbonate with 40 watt lamp. Pleated interior shade, produces beautiful reflections. 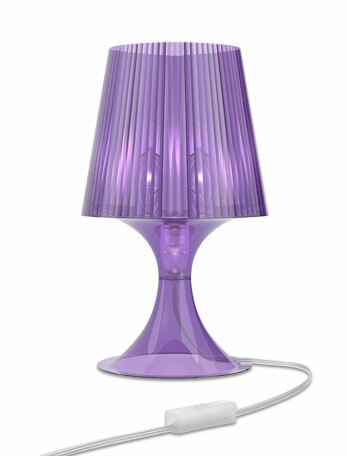 Available in transparent red, violet, amber or clear. A focal light with max. 40 watts (E27).